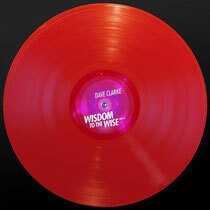 Dave Clarke will re-release ‘Wisdom To The Wise’ (Red 2) on Boysnoize Records. Dave’s Red trilogy is considered to be a milestone in the techno genre and dance scene across the board, with DJ Mag incorporating one of the Red’s in its All Time Techno Top 100 list. One of those true Red techno classics is ‘Wisdom To The Wise’, taken from Red 2. A raw, uncompromising tune, still played by many a DJ today 19 years after its first release. Boys Noize has snapped up the track for a re-release on the Boysnoize Records imprint. Steve Rachmad had the timely idea and out of the blue came up with two deep and respectful remixes. Boys Noize, besides providing an up to date solid remix himself, asked Berlin based Marcel Dettmann to rework it too. In addition, Dave wanted Mr. A. Mochi to compliment the original with a fresh new edit which remains very close to Dave's original version. It’s out March 4, check it out below.